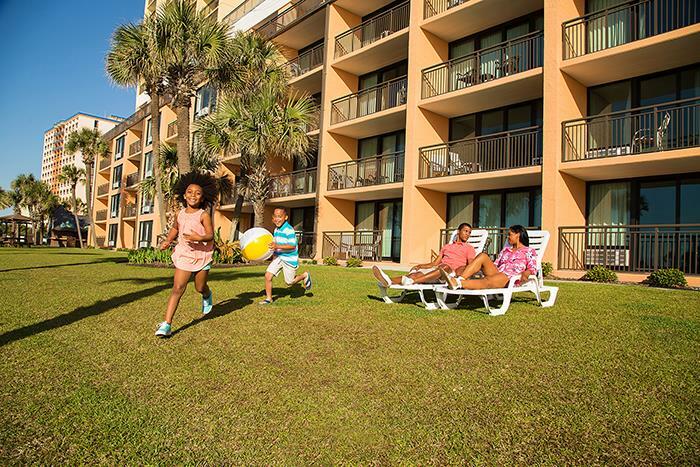 An oceanfront condo-style resort located just 1.9 miles from Dunes Golf Club and 6.2 miles from the iconic Family Kingdom Amusement Park, The Caravelle Resort offers comfortable accommodations featuring flat-screen TVs, full kitchens and more. 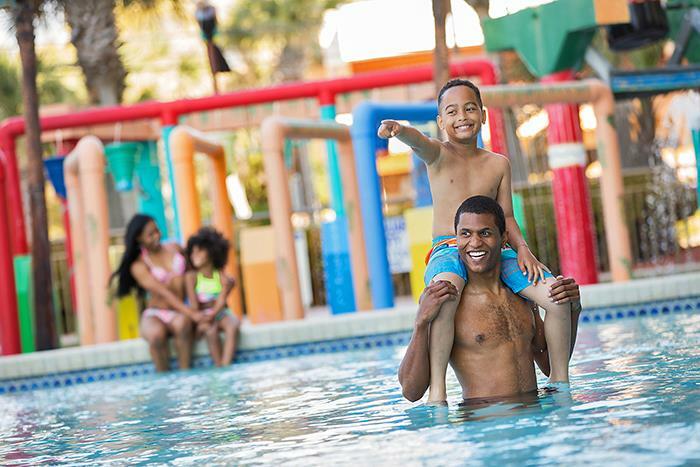 Guests can also enjoy multiple on-site pools, a lazy river, a sundeck, a business center, an exercise facility, a seasonal kid’s club and on-site dining options. 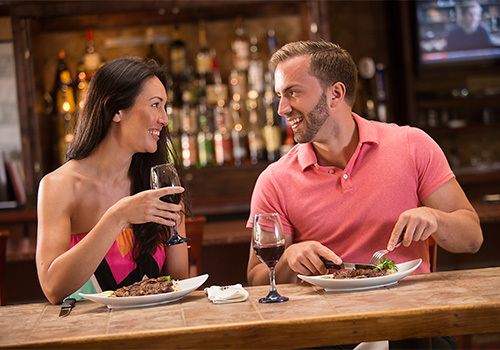 Situated 7.0 miles from Barefoot Landing and 8.6 miles from Myrtle Beach International Airport. 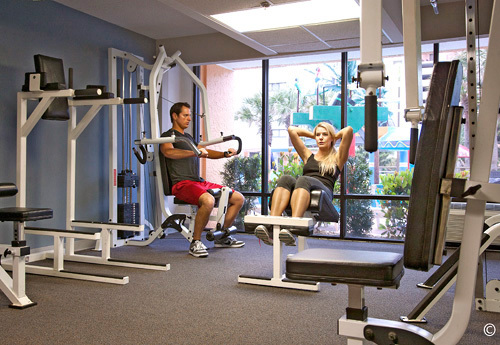 Perfect your swing at the multiple golf courses nearby. 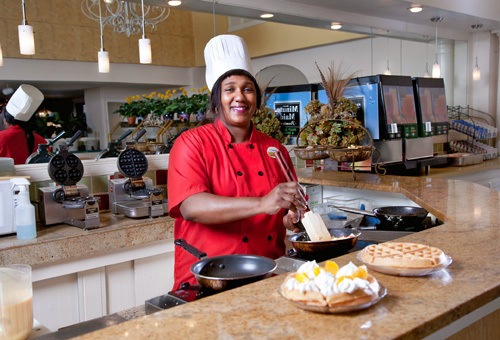 Rooms include free WiFi, full kitchens, and flat screen TVs. 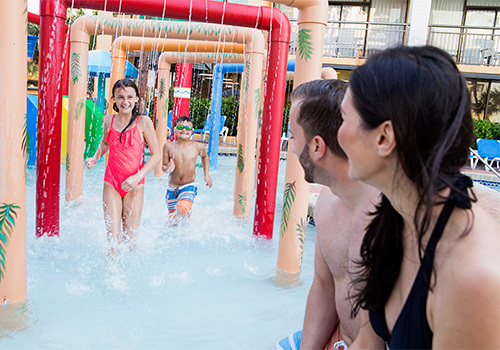 Multiple pools on-site with a lazy river and children's Wild Water pool. 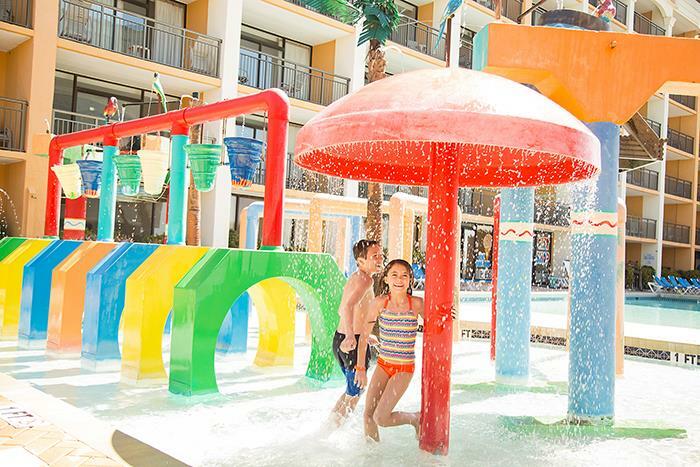 Designed for families and golfers, The Caravelle Resort has an expansive pool deck, a game room, and complimentary supervised children's activities in summer. 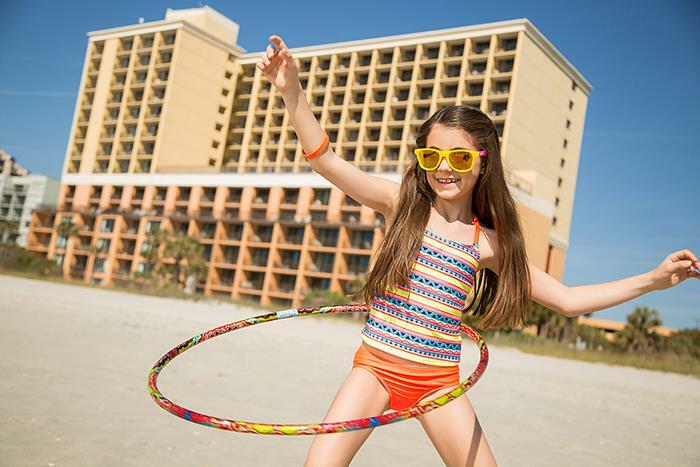 Located in a quiet hotel zone north of downtown's traffic, families are attracted to this hotel for the pools and beachfront locale. Golfers come year round. 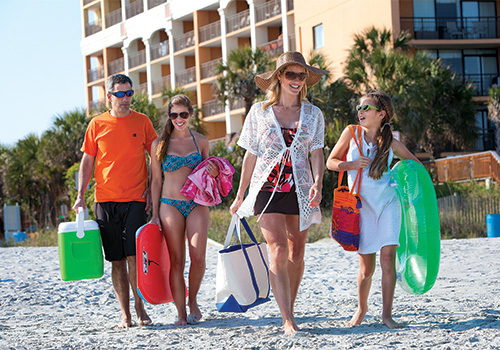 Guests have playing privileges at the private Dunes Golf and Beach Club, which is less than three miles away. 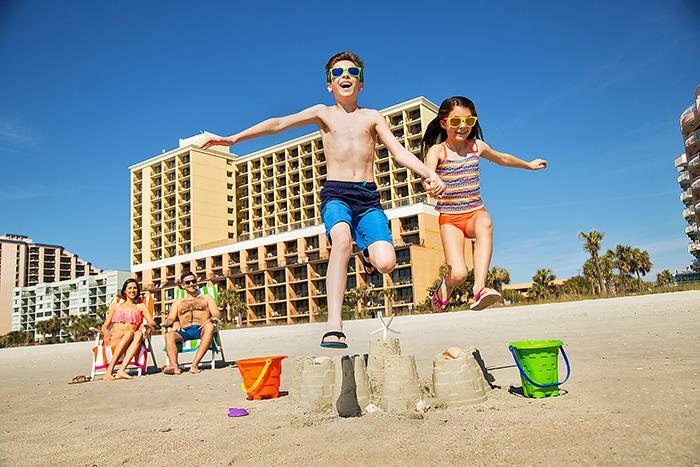 At least one adult of 21 years of age must be in the room at all times for all buildings except for Sea Mark Tower & Carolina Dunes (25). 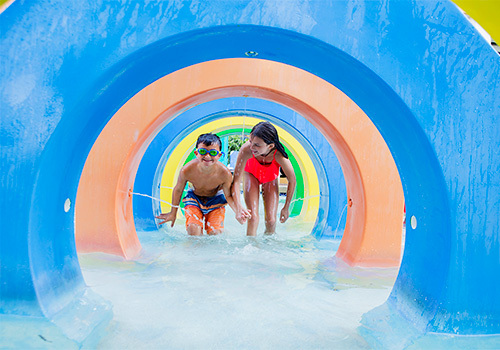 Water attractions include a complex with a 65 by 30-foot pool; a children's Wild Water pool, lazy river, and a 15-person spa tub (Seasonal). A solarium offers year-round 45 by 12-foot pool paired with a four-person spa tub. Outside, another four-person spa tub provides open air soaking. 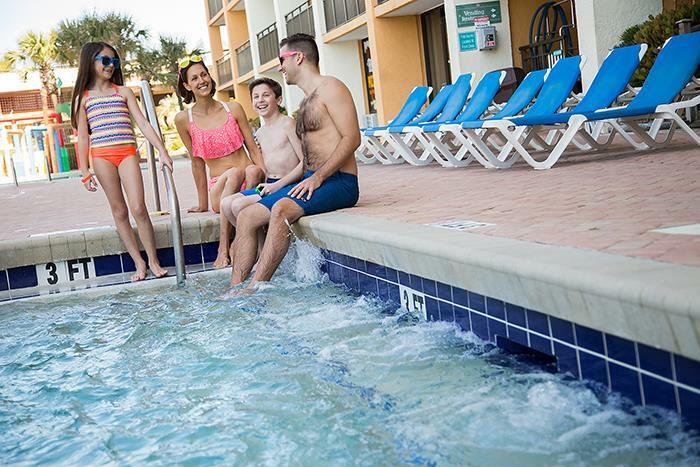 The Caravelle Resort offers 620 air-conditioned guestrooms, suites and two and three bedroom condominiums. 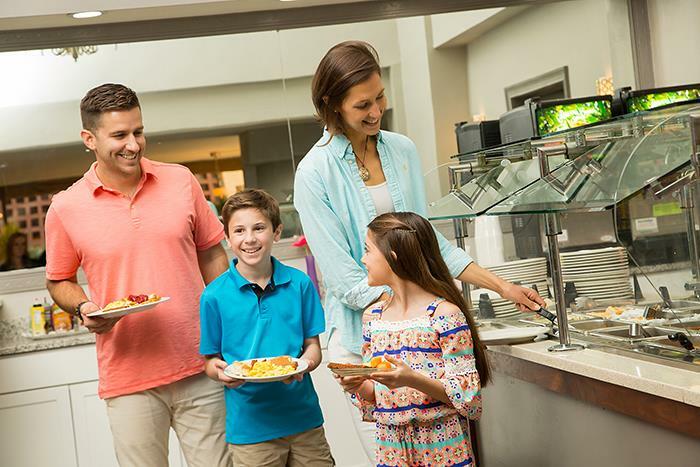 Most accommodations provide either a full kitchen or a kitchenette that includes a four-burner range, a microwave oven, a full-size refrigerator, toaster, and coffeemaker and comes with dishes, flatware, and cookware. 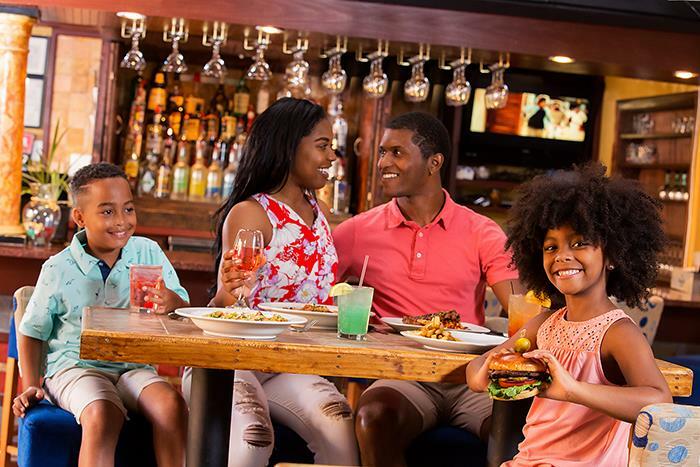 Please note: The Caravelle Resort is currently under minor renovations. The areas affected are the main indoor pool, gift shop, game room and fitness area. 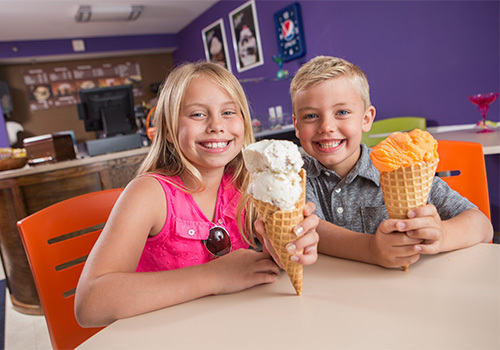 Renovations are expected to be complete in May of 2017. My family and I were all going to stay at the Caravelle Resort. Due to the hurricane that damage part of the resort, one of the rooms we booked was unavailable. The manager was nice enough to give my family options on our rooms. It all worked out for the best. 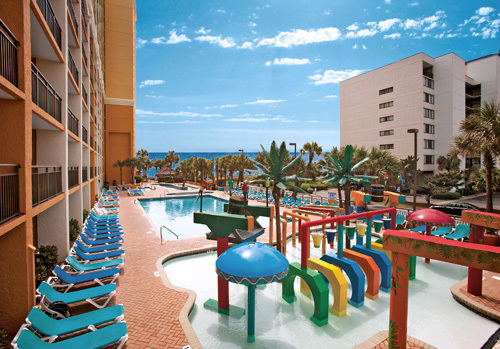 This resort is located conveniently on the beach have nice outdoor pools. Room was not clean and floor was dirty. They have to work a lot on customer service. Check in 4 pm and 11am is the check out time. "Right on the bach , Even the St. Johns is close enough"
Great stay , right on the beach or like the St. Johns its close enough , Our room was clean and housekeeping came everyday and they were friendly . 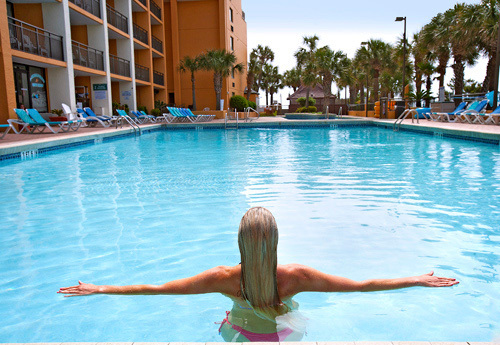 pools and hot tubs at the Caravelle and the St. Johns are very nice. It was my first time back since the reopened. The lobby was packed when we got in due to the system not working, Davena and Justin were great though laughing and keeping the guests moving. It is terrible to have only 2 people and to let the system be dead so long. I did have a few maintenance issues and no sheets for the wall bed, but Alex came up. Might I add he is the only one on night shift with no help in the busy time!!! He was so great even though very sick! It is terrible, GET HIM SOME HELP!!! 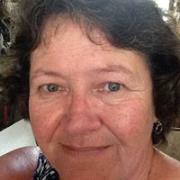 "Nice hotel for the buck"
Overall it was a fun experience and staff is very friendly. Bathrooms by the pool/hotel entrance need more care on busy days. The smell by the corridor was really bad. Pools are nice, rooms are clean and renovated. 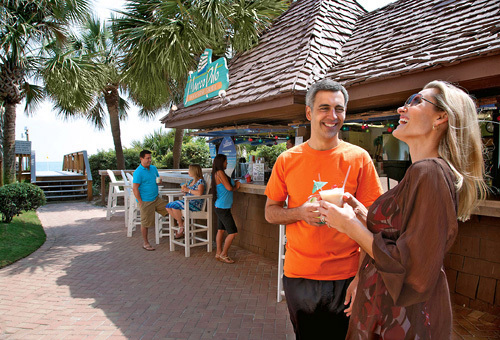 The hotel has direct access to the beach and the garden area is nice to hang around after a beach day. My special kudos to Nick at the tiki bar and Joe on the grill. Nice guys and fun to be around. They made our experience much better. 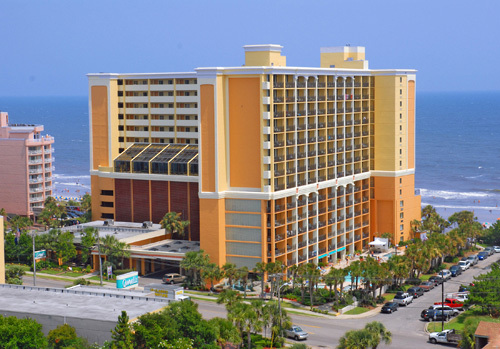 How many rooms are available at The Caravelle Resort? There are 540 rooms are available at this property. 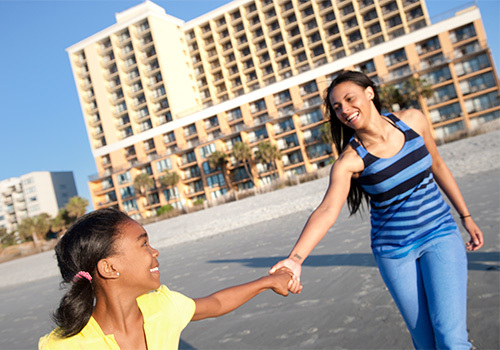 How many buildings comprise your units at The Caravelle Resort? 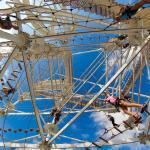 There is one main building at the resort with the highest tower reaching a height of 15 stories. The entire resort, however, is comprised of nine buildings. Yes. 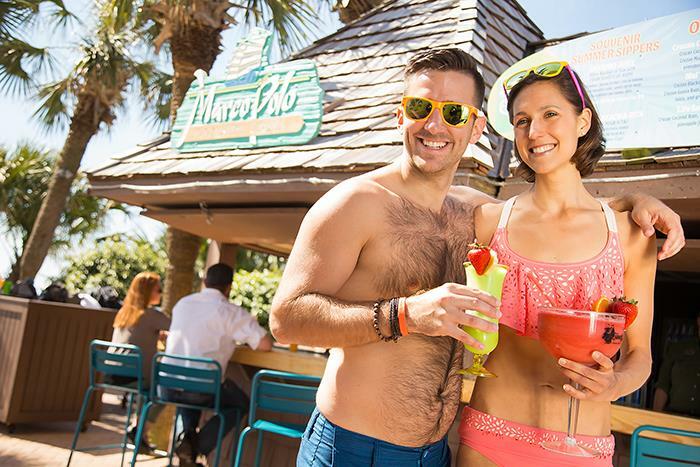 The Marco Polo Poolside Bar & Grill serves up tasty items like hamburgers and refreshing drinks. 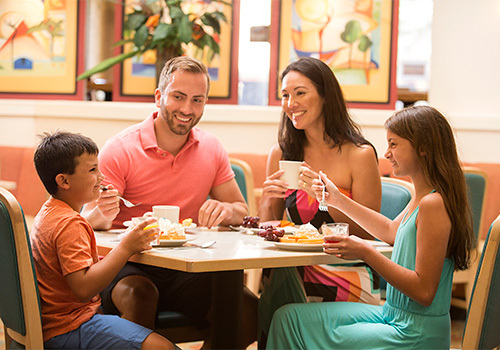 The Santa Maria Restaurant features breakfast a la carte and buffet-style daily, while guests can also get a slice of pizza at the Pirate’s Cove Ice Cream & Sandwich Shop, or grab a drink at Liquids Lounge. A Gift and Sundry shop, open from 8am-9pm, sells groceries, beer, wine and sundry items. 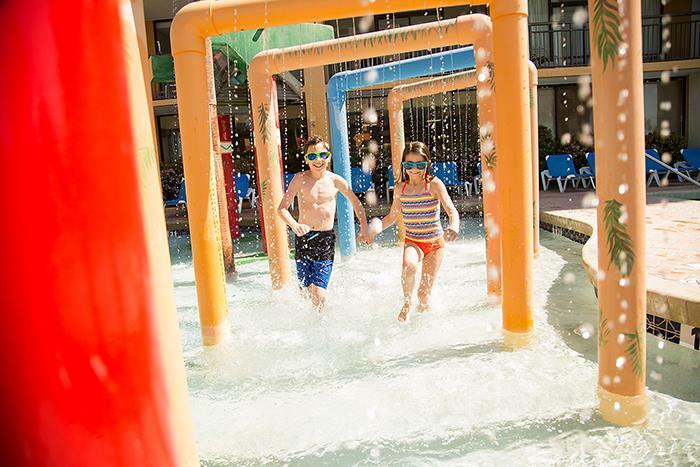 Do you have a minimum age required for check-in at The Caravelle Resort? 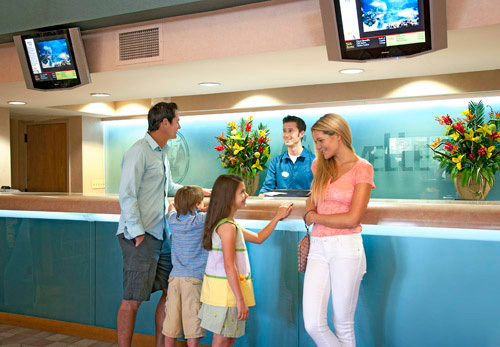 The Caravelle Resort charges a nightly resort fee, due upon check-in. 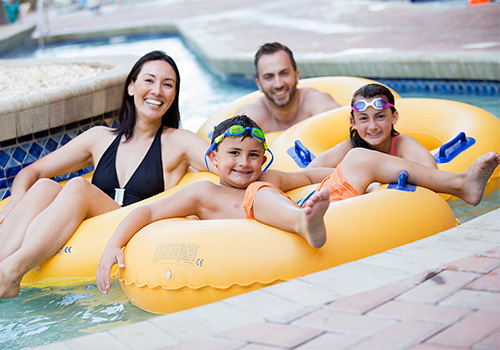 Do you charge for cribs or rollaways at The Caravelle Resort? 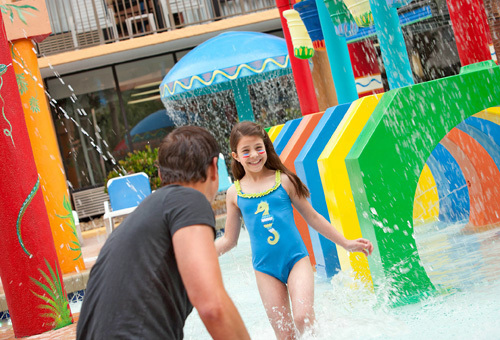 What are the pool hours at The Caravelle Resort? 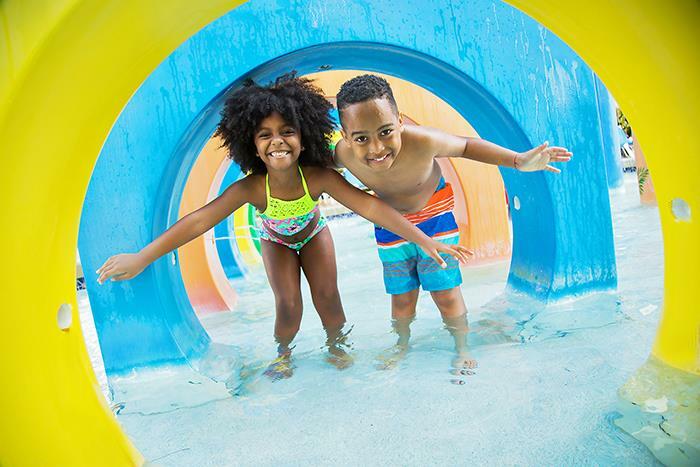 The pool deck is open from 9am-11pm. 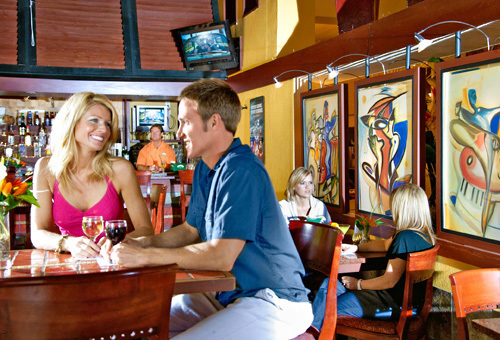 How far is The Caravelle Resort from the Myrtle Beach Airport?